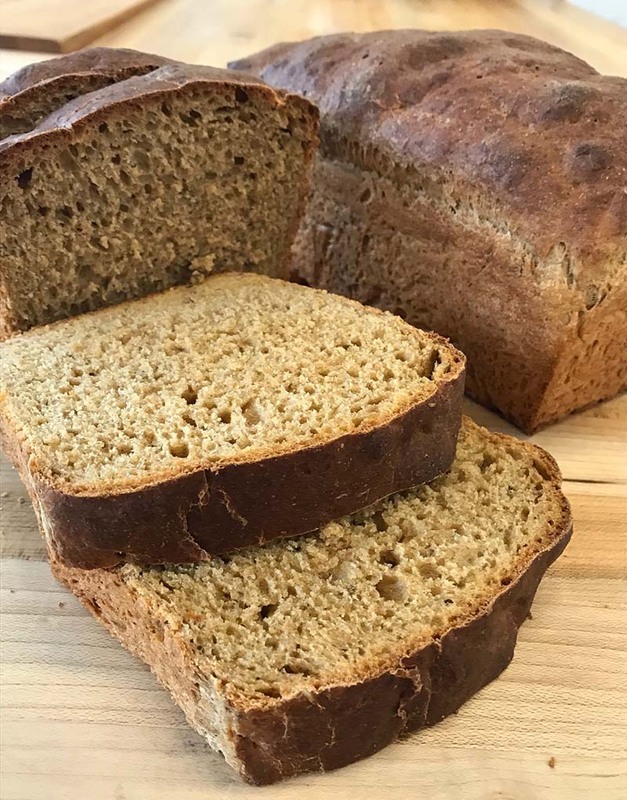 An easy no-knead rye bread that's full of flavor! Measure the first four ingredients into a bowl; blend and set aside. Pour the warm water into a mixing bowl and add the yeast; stir to dissolve. Let stand 3-5 minutes. Add the syrup, shortening and ½ the flour mixture. Beat 2 minutes with a hand mixer on medium speed or by hand until smooth. STOP MIXER. Add the remaining flour mixture and beat again with a spoon until smooth..1 to 1½ minutes. Scrape down batter from sides of bowl. Cover; let rise in warm place until doubled..about 30 minutes. Meanwhile, grease two 5x9-inch OR 4½ x 8½-inch loaf pans. Beat down raised batter in about 25 strokes. This is a thick, somewhat sticky batter; spread evenly in the pans. Tap pans on table to settle the batter. Let rise only until edges of batter comes to within 1-inch of tops of large pans or reaches tops of smaller pans...about 30 minutes. Bake 40 to 50 minutes or until well browned on sides and tops, in preheated 375°F oven. Remove from pans and cool on rack. Brush with water for chewy crusts. We’re so happy that you are enjoying our Batterway recipes. Thanks for baking with us!